Your site carbon footprint can be reduced through limiting fuel and vehicle emissions. Every effort should be made to minimise trips made to and from the site. Rear end loading (REL) skips were used instead of conventional waste skips. 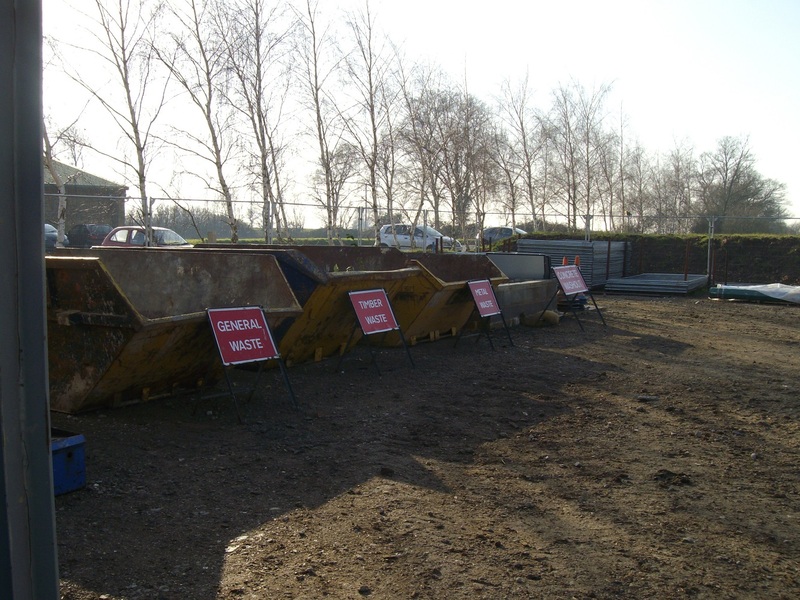 Previously a dedicated vehicle journey was needed for each skip, but REL skips never need to leave the site. REL skips are emptied into a large council type vehicle with a compactor as part of multiple collections made by a single vehicle during a single journey. This reduced the carbon footprint of the waste collections and the number of skip wagons on the road. Second visit Monitor Report, Shepherd Construction Ltd, County Durham, July 2014; First visit Monitor Report, Robertson Construction Eastern, Scotland, October 2014; Dirft II A, VolkerFitzpatrick Ltd, March 2015.